Many homeowners alter the appearance of their kitchen walls on a regular basis to match yearly design trends or changing personal tastes. Painting walls isn't quick or inexpensive, and paint doesn't provide good splash protection. Repeatedly detaching permanent backsplash tiles and replacing them with new ones in different colors/patterns is a hassle. Picking just one color/pattern style out of many preferred designs is difficult. If you want an easy and inexpensive way to alleviate your frustration and change the look of your kitchen walls to different designs at any time, choose removable interchangeable backsplashes for your next remodeling project! What Is a Removable Backsplash? If a homeowner orders installation of a backsplash protection product above sinks, counters or appliances during new construction or a remodel, it's usually a permanent solution. On the other hand, a removable backsplash is a portable solution. Traditionally, it's used when installation of a permanent product isn’t affordable or convenient. 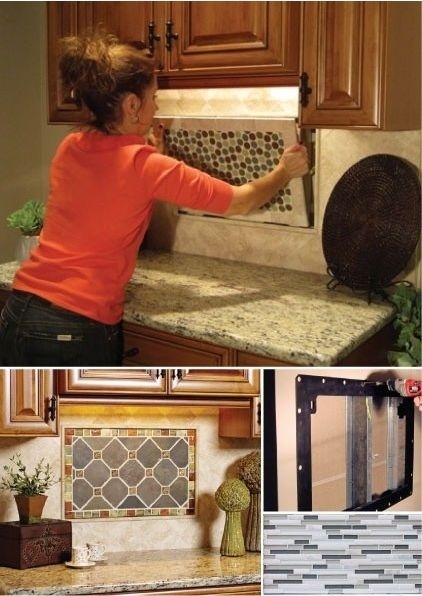 A removable backsplash consists of one or more panels made of a heat-resistant and easy-to-clean material, such as tile, laminate or thin metal. Typically, it's directly mounted to a wall with light bonding adhesive or affixed to a board with or without a frame and then hung on a wall like artwork above a specific kitchen work area. A removable solution affixed with adhesive still requires a lot of extra work when you want to give your kitchen walls a new look on the fly. 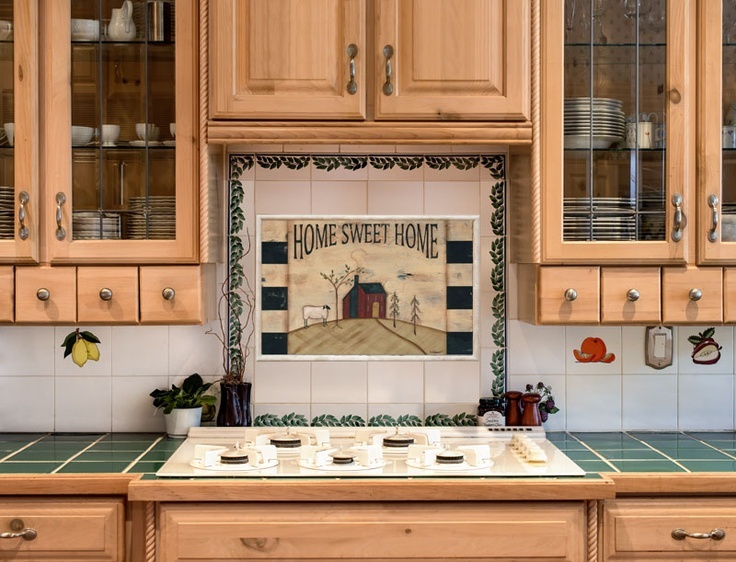 As a result, some people who opt for a removable option go with a single panel, framed or unframed, board-mounted backsplash since it can be quickly mounted to a wall and just as quickly removed when the wall needs cleaned, repainted or repaired. The difference between a standard removable solution and an interchangeable one is that you own more than one panel. Whenever the mood to redesign your kitchen's appearance strikes, you simply swap out the panels. 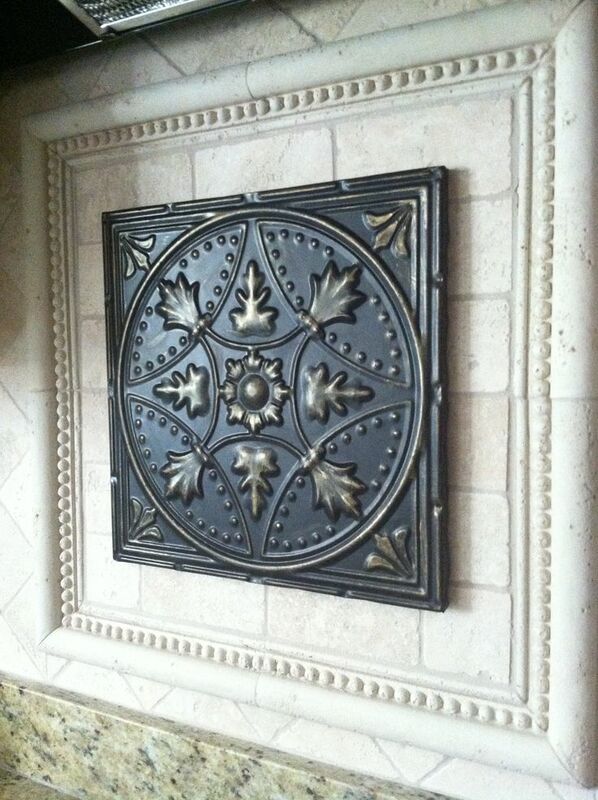 This option is perfect for when you want to display tiled mosaics or painted murals, but can’t afford to have an entire wall tiled, re-tiled or custom painted. It's also perfect for matching your walls to changing seasons, holidays and aging tastes without year-after-year of messy or expensive construction.